On Thursday 3 of October, after a very interesting 40-day duration, the film journey of the 2nd Online Short Film Festival for Balkan Filmmakers, altcineAction!, has come to its end! The festival, which is organized by altcine.com, was held, this year too, with great success. The closing ceremony took place at the Film Archive of Greece, in the presence of many great people. Young and older directors, professionals, representatives from the film industry, representatives of the Ministry of Culture and the Embassies of the Balkan countries in Greece, attended the ceremony and celebrated with us.The ceremony opened with the official honorary premier of Asimina’s Proedrou movie Red Hulk, that won many awards including the First Award at Drama Short Film Festival this year and the First Award at the International Film Festival Opening Nights. Asimina was the winner of the 1st Prise altcineAction!2012, with the film Facet of Lonliness. Her new movie, Red Hulk, is actually the result of the prizes won at altcineAction! 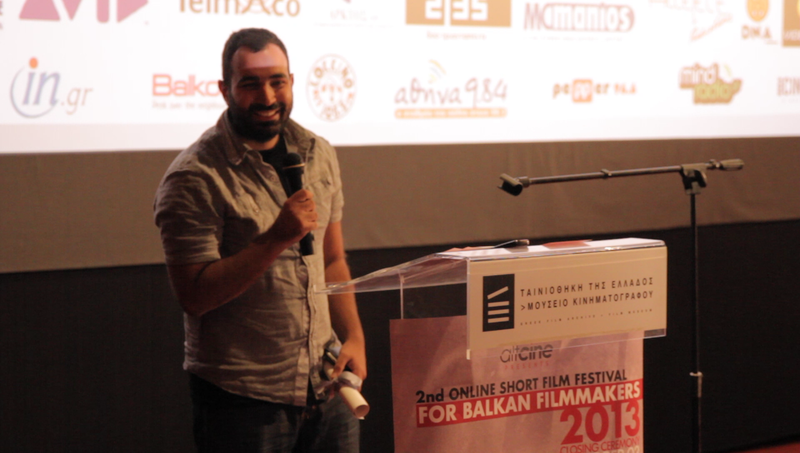 2012.2nd Online Short Film Festival for Balkan filmmakers, altcineAction! 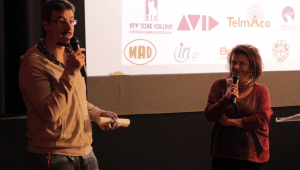 awards winners were announced at the closing ceremony which took place on Thursday October 3rd at the Greek Film Archive. 46 short films have finally entered this year’s competition and fill the 360minutes for 10 Balkan countries. 26 from Greece, 3 from Bulgaria, 3 from Albania, 3 from Croatia, 3 from Former Yugoslav Republic of Macedonia, 2 from Turkey, 2 from Romania, 2 from Serbia, 1 from Cyprus and 1 from Slovenia. According to the public voting, the First Prize went to the film Under Stress, by Paris Patsouridis. A film “for a generation stiving to prove that deserves a lot more than what it gets”. 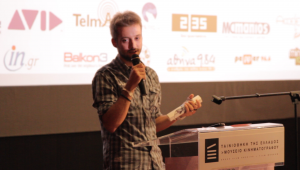 while Haris Gioulatos won the third prize for his film Butterfly. The film depicts how “in the time of economical crisis, two men, two opposite sides of the same coin, flipping in an internal gambling of survival”. The altcine Award, from this year on is renamed to Alida Dimitriou Award in memory of this Great Lady, a great director, who was committed to short films and social issues and left us recently. The award went to the Romanian film The Pill of Happiness by Cecilia Felmeri and was received, on behalf of the director, by the Romanian Counselor in Athens, Radu Boboc and and was handed by Alida Dimitriou‘s husband Sotiris Dimitriou and by Sakis Bouzanis representative of the post-production company 2|35, which is the exclusive sponsor of the award. This year, for the first time, we had two special prizes. The jury of the Best Photography Award, consisted of the cinematographers Argyris Theos and Kostas Stamoulis members of the Greek Society of Cinematographers and Predrag Bambic, the president of the Serbian Society of Cinematographers, awarded Kiril Prodanov for the film The Bed. The award was received by Ms. Marianna Petrova, from the Embassy of Bulgaria in Greece. 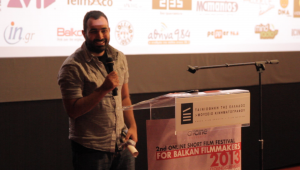 The jury of the Best Editing Award, consisted of the editors: Yorgos Mavropsaridis (Gr), Aleksandra Milovanovic (SR) and Ilir Butka (AL) gave the award to Ioanna Spiliopoulou for the film Cutdamn!. What’s more, the Best Critic Award, that became kind of an institution from last year, offered a very big prize! Thanks to our major partner, Divan Film Festival, the Best Critic will travel next August to Romania in order to participate in the festival’s symposium about the Balkan cinema. There, the critic will present a selection from this year’s altcineAction! films. This year’s committee chairman for the Best Judge was the Romanian Academic and Artistic Director of the Divan Film Festival, Marian Tutui, and the members were the Greek Academic Lydia Papadimitriou and Ana Grgic, a researcher from Croatia. The jury decided that this year’s Best Critic was Abbie Saunders from England. With the closing ceremony, this edition of the festival came to its end and the audience had the chance to meet with new people, discuss about the winning films and taste fine Greek wine! But, still, all the movies that competed are available online for you to watch and see the ratings. Visit us frequently for updates until the announcement of altcineAction! 2014.